It is not simple to realize an original Christmas CD indeed, that know how to stand out from the countless classic collections, without arriving for this reason to the opposite with a specialized repertoire, only reserved to few connoisseurs. Christmas is the sweetest feast of the year, the one that gather distant families and that can involve with its joy even the simplest people. According to those statements, Elegia Classics presents with touching spontaneity a sparkling anthology of traditional works from Provence, a repertoire that has its roots back in very remote times and that during XVIII century became “cultured” by a group of composers like Jean-Jacques Beauvarlet Charpentier, Micolau Saboly, Michel Corrette, Louis Archimbauded Etienne-Paul Charbonnier. 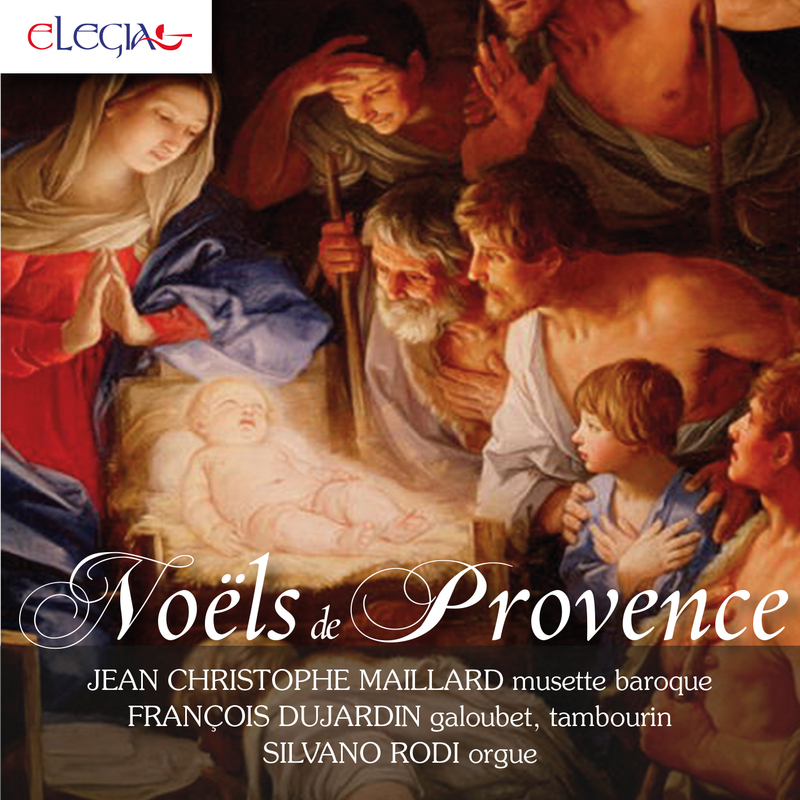 Those works have a touching delicacy, proposed to us in the performance by Stefano Rodi (organ), Jean-Christophe Maillard (musetta barocca) and François Dujardin (galoubet, fifre and tambourin). For a very different kind of Christmas. Registrato nella chiesa di San Luigi Re di Francia, Fenestrelle (TO); chiesa di Santa Maria Assunta, Bussoleno (TO), basilica San Giovanni Battista di Imperia-Oneglia (IM).